Week 82 and time flies when you are having such fun! I delved into Mary Berry’s Baking Bible and found the little gems and oat & sunflower squares. The first recipe of the little gems was really simple, it’s one of Mary’s throw all the ingredients in the bowl and mix. Then put roughly a teaspoon of the mix into tiny cases and bake! Once cooked, the cakes become risen and golden. 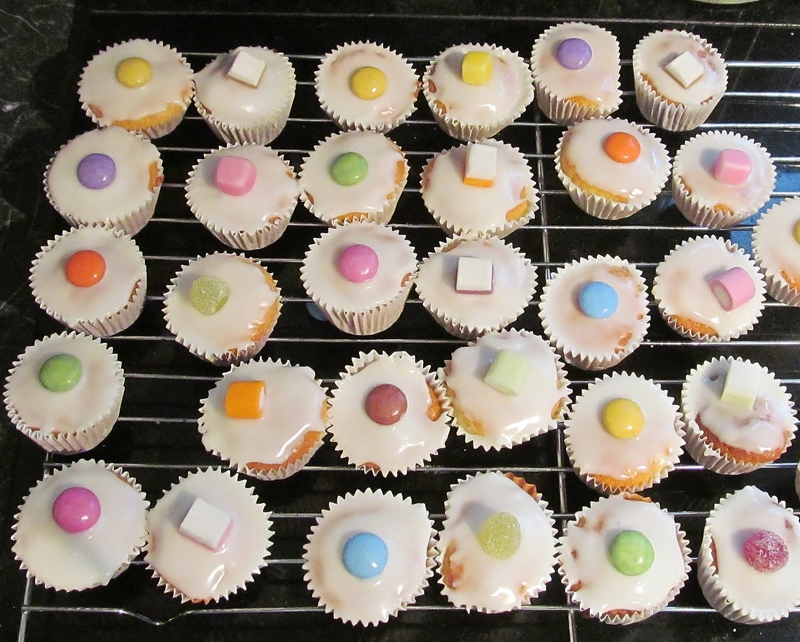 Allow them to cool on a rack and when cool, mix some lemon juice with some icing sugar and top the cakes with a little icing and a sweet to decorate. 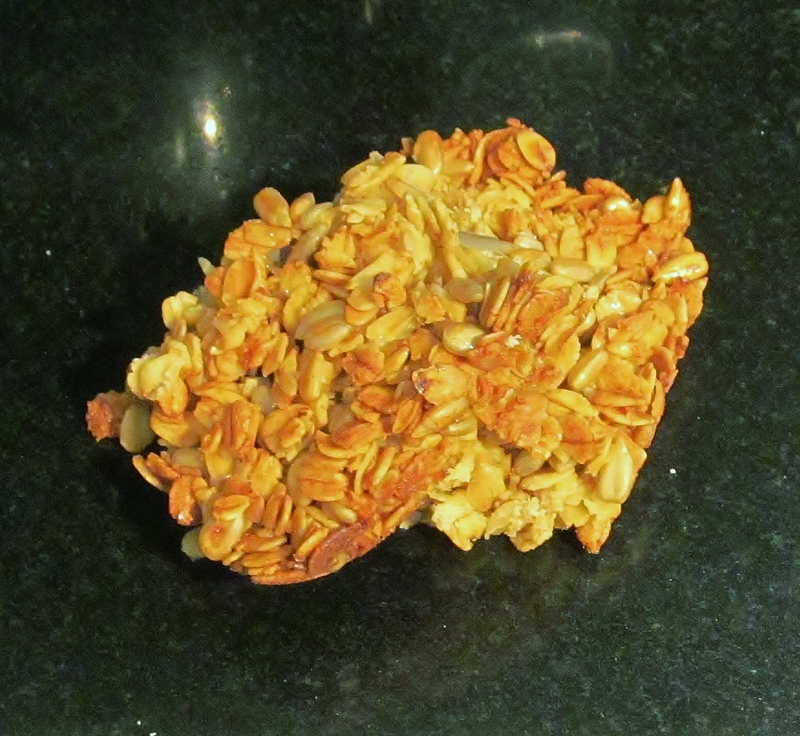 The second recipe of oat & sunflower squares was not all that difficult either. Mary asks you to heat the butter and golden syrup together and add the large oats and sunflower seeds and mix well. Mary suggests using a 7″ square tin but I found that my mix wouldn’t even cover half the bottom of this so I put mine in a smaller tin which was better. The squares are very crumbly and I would suggest keeping them in the fridge as in this warm weather , they just fall apart. I was pleased to read a news article this week about Mary Berry being awarded the Freedom of Bath. Bath city officials said she had “always been an exemplary ambassador” and was a deserving recipient of the the city’s highest and most prestigious award. I was really pleased for her as she was born and raised in Bath so a lovely honour for her. I have missed The Great British Bake Off so imagine my surprise when I found a repeat of I think the very first series on free view which I hadn’t seen before, and no bake off tent in site. It looked a little different then. It was the final and the contestants were asked to bake for an English tea party for family, friends and former contestants who had been knocked out earlier. They each had to bake white and brown bread, make 40 finger sandwiched with these, bake 40 scones, 40 tarts and 40 choux pastries- no mean feat! I was gobsmacked at the pressure they were under and did so well. I am pleased that Celebrity Master Chef is on tonight, I am especially looking forward to seeing if Todd Carty can bake better than he can ice skate! This entry was posted in Kim's cake challenge and tagged celebrity master chef, Great British Bake-Off, icing, Kim's little gems, Kim's oat & sunflower squares, kims cake challenge, little gems, Mary Berry, Mary Berry's Baking Bible, Mary Berry's little gems, Mary Berry's oat & sunflower squares, oat & sunflower squares, oats, sunflower seeds, sweets by kimsideas. Bookmark the permalink.